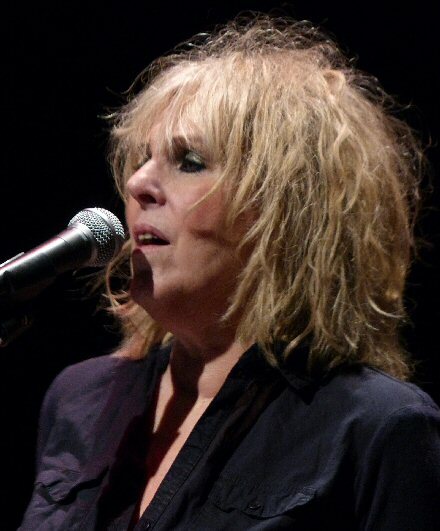 One-time Nashvillian Lucinda Williams is a three-time Grammy Award winner. Her music is a blend of blues, country, folk and rock. Lucinda has a distinctive voice that can be as sweet as honey or as rough as sandpaper if her expressive lyrics call for it. Down Where The Sprit Meets the Bone is her 11th studio album and the first to be released on Lucinda’s label Highway 20 Records. The two-disc set travels back into Williams’ southern roots. The new CD is receiving much acclaim and is considered her most ambitious album to date. 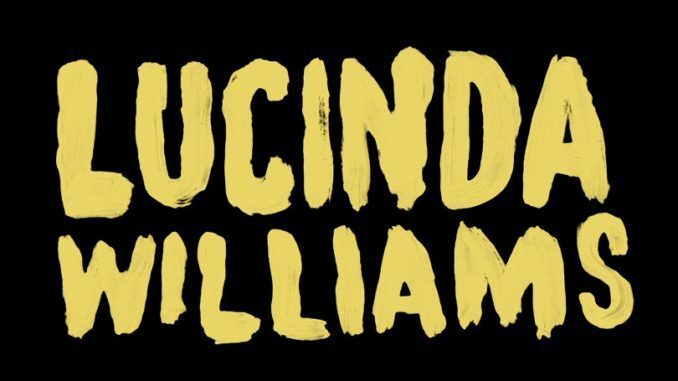 Lucinda Williams and Buick 6 take the stage in New Jersey. 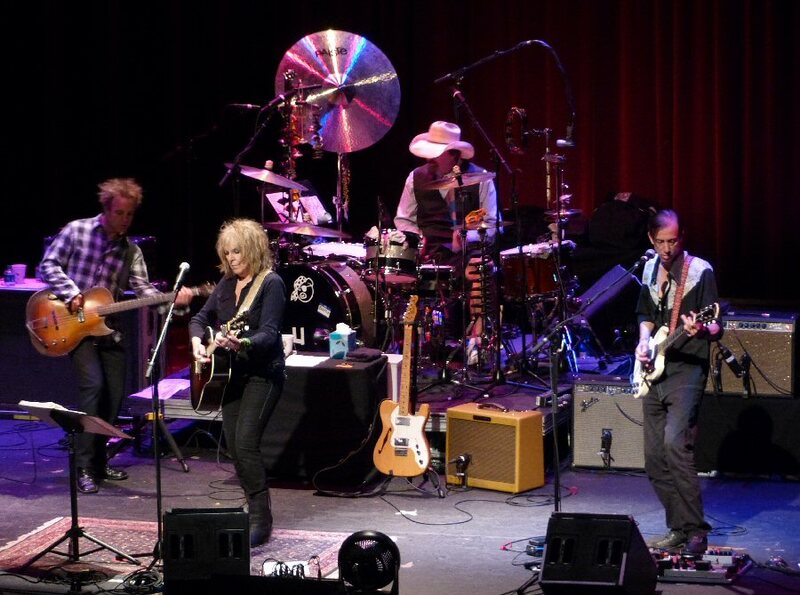 Lucinda Williams performed to an attentive audience at the bergenPAC in Englewood, New Jersey on June 17, 2015 in support of her latest effort. Her concert was also packed with classics along with covers. A basic stage set up allowed the music to be the focus of her two-hour plus show. Buick 6 was Williams’ backing band. They started the set with sassy jamming before Lucinda clad in dark colors took the stage with a winsome “Something Wicked”. Williams armed with an acoustic led the boys into the county/blues mingle of “Can’t Let Go”. Lucinda’s unique voice is both rough yet rich. Her delivery is so real that you believe she has lived through all the words that she is singing. Many of her songs are vivid portrayals of broken people and in some cases she might in fact be that soul. She even alluded to it as she introduced the title track of her Car Wheels On A Gravel Road album. She recalled that when she was living in Nashville her father came to see Lucinda perform at the Blue Bird. When Dad heard the song, he said to Williams that he was sorry as it was clear to him that the little girl’s perspective of a distressing move was Lucinda’s memory. “Pineola” also had a connection to her Dad as he once knew a poet who took his own life. The tragedy was the catalysis for her lyrics. Although it was a mid-tempo tune the images of death and funerals were somber. 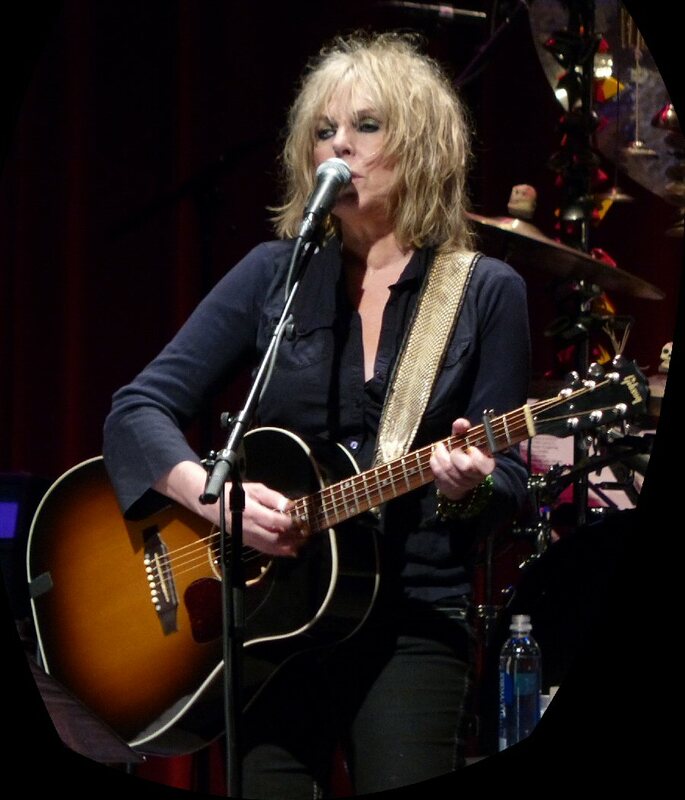 Lucinda was a captivating frontwoman from start to finish. “Gee, I’m really opening up,” Lucinda remarked at one point after recalling her familiarity with a ‘switch’ as a young girl alluding to the fact that she received her fair share of discipline as a child. Then she recounted her father’s recent passing and admitted that her current tour is doubling as therapy for her stating, “That’s why we’re here right now”. “When I Looked At the World” (also off the new album) featured Lucinda alone on an acoustic, thus allowing her gravelly yet graceful intonation to be the focus as she reflected on life’s challenges along with the glory of the world. “Lake Charles” starred another character – a former lover who had lost his way. Later, we traveled on a “Bus to Baton Rouge” for a colorful ride packed with memories “some good-some not so good.” “Are You Down” poured down with images of rain paired with thunderous instrumentation. “Protection” a new song looked at the results of life choices in a rapid fire flurry of riffs and rhythms. “I Changed The Locks” was a lively blue based tune about liberating oneself from a bad relationship. In the closing stretch of the show Lucinda and Buick 6 were rocking. Their rousing encore including two standout covers. They put a unique spin on Bruce Springsteen’s “The Rising” and Neil Young’s “Rockin in the Free World”. “You’ve been a great audience; power to the people” declared Lucinda as they exited. Williams switched from acoustic to electric throughout her two-hour set. Opening for Lucinda was Matt Blake from Austin, Texas. 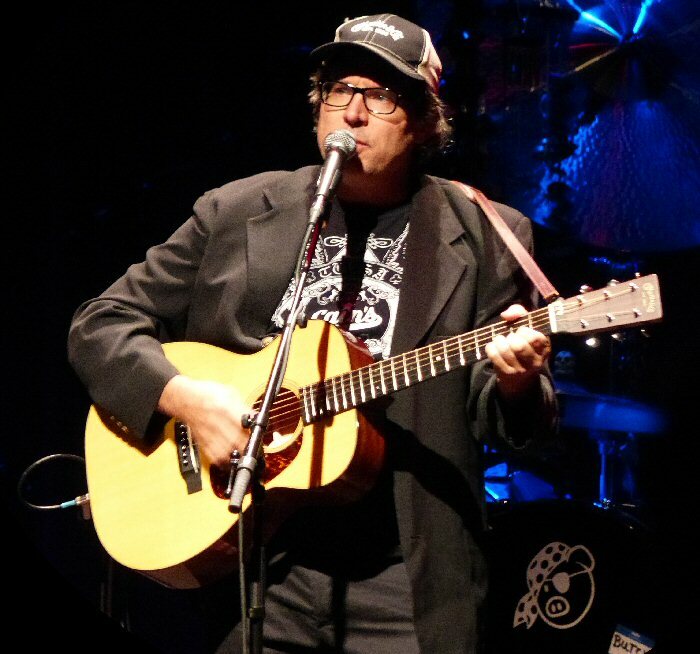 He presented a quick three song acoustic set of storytelling that concluded with amusing observations filled with Keith Richards and Rolling Stones references. The second opening act was Lucinda’s band Buick 6. This power trio played an engaging, experimental series of mostly instrumentals. Their compositions took plenty of interesting twists into a number of genres before culminating with an interesting hybrid of blues, country and rock. All the songs presented on Wednesday night were from their forthcoming album Plays Well With Others available in August of 2015 on Highway 20 Records. Buick 6 was impressive in both their opening and main act roles. In addition to being a concert hub in the town of Englewood the bergenPAC also hosts a wide range of educational programs in culture, dance, music and theater. Their Limitless Arts program offers a full schedule of classes for children and teens with special needs. Upcoming events at the bergenPAC include Jazzical Fusion, ROI, Million Dollar Quartet, Keb’ Mo’, Art Garfunkel, Dion and the Little River Band. Opener Matt Blake from Austin is signed to Lucinda’s label, Highway 20 Records.